Xiaomi has to work harder to make a dent in the Western world, but it takes nothing to win more consumers’ hearts back in China. This smartphone maker has always been ambitious, and never shy about plunging its fingers in every pie. We are still waiting for the Xiaomi Smartwatch. As you remember it should be announced on August 30, but we saw only the Huami Amazfit, which seems not to be the product we have been waiting for. But before Xiaomi decides whether to surprise us or not, we have got a great opportunity to get our hands on a Xiaomi robotic cleaner dubbed as the Xiaomi Mi Robot Vacuum. This vacuum cleaner was announced on August 31 and made a huge stir around it. The net was buzzing about its unique features and design similar to the Roomba, a well-known US brand of autonomous vacuum. But the Xiaomi Mi Robot Vacuum costs less in comparison to the Roomba that is priced at 5,699 yuan ($850), while the Xiaomi product is set to be sold for only 1,699 yuan ($250). This device is announced to be available for purchase starting September 6, so you can use this time to get acquainted with it before the Xiaomi cleaner becomes available at retailer stores. Usually we start a review with the design of a product, but this is not the case when we can act so, because the Xiaomi Mi Robot Vacuum has more interesting and innovative features besides the design. Of course, it looks amazing, but we’ll have time to talk about it. This robotic cleaner automatically maps out the area and cleans homes in an extremely “smart and efficient” way, as the manufacturer claims. It uses a Simultaneous Localization and Mapping (SLAM) algorithm to map out how the home is laid out and calculates the best sweeping path. Probably you remember the game coming with older Windows versions dubbed as PinBall. So every time when a vacuum cleaner is described as it comes with a ‘random type of cleaning’, the only one though comes to my mind – does it clean like PinBall. Usually, when we talk about sweeping paths, we mention a certain number of routes a robotic cleaner can work with. For example, the JISIWEI J-BOT3 comes with 7 cleaning routes, the SEEBEST C561 comes with 5 routes or the Donkey E1 Lite that has only 4 sweeping routes. But are those routes optimal for all type of rooms and houses? I guess no. So there should be a special algorithm capable of calculating the best path for a cleaner, otherwise it can last for ages and a smart cleaner can become a real headache for users. Say, it can cost more than a simple sweeping. When cleaning a room with a simple cleaner we know where we have cleaned and don’t pass there more than one time. The same should be implemented with the robotic cleaners, otherwise they will clean the same area for 3-5 times, while some other areas will be ignored. Thus, the term we often come up, ‘random cleaning path’ can cause longer cleaning time, more electricity consumption and many more. Though no official detailed information has been unveiled yet, but I guess the sensors emit laser light and it is able to calculate the travel time due to a reflected light. I guess this technology is the main selling point of the Xiaomi Mi Robot Vacuum, but let’s take a glance at other features of it. Unlike many other vacuum cleaners the Xiaomi Mi Robot Vacuum mainly focuses on cleaning features. As a result the company has cooperated with a Japanese NIDEC that is known as the world’s No.1 comprehensive motor manufacturer. The Xiaomi vacuum cleaner comes with a brushless DC motor that is a head higher than other motors in terms of speed and performance, as it delivers up to 1800Pa air pressure. There is a real difference between this model and the iRobot’s Roomba 980, as the latter comes with 1,670 Pa. The Roomba is packed with the same motor, but thanks to a Mi Ecosystem, a startup dubbed Rockrobo this model works more effectively. It is also much better than the Neato’s Botvac D8500 that delivers only 1,000 Pa. Unfortunately, we don’t know how much it surpasses its closest competitors, but I guess some geeks will provide such info in the nearest future. However, as many cleaner manufacturers are almost at the same technical level, I guess the Xiaomi Mi Robot Vacuum is capable of break away and show respectable selling results. Well, it’s claimed this brushless motor comes with rubber and fiber combo brush structure, thus it is capable of cleaning hard floors as well soft carpets made of different materials. Thanks to innovative technologies, new brushless motors and many more the Xiaomi Mi Robot Vacuum works more effectively. But there is another feature making it more powerful. I am talking about the 5,200mAh 14.4V lithium-ion battery that is enough to clean up to 250 square meter area in about 2.5 hours on a single charge. It is provided by LG and Panasonic meaning we can easily rely on this info. Of course, if there is more work to be done it will take its way back to the charging dock. I guessed this is the most powerful vacuum cleaner we have reviewed ever. Look we have already got acquainted with ILIFE V1 that is capable of sweeping up to 1 hours with its 2000mAh battery. There was the Seebest D730 packed with a 2200mAh battery providing a working time of 90-120 minutes. I even remember the Haier SWR-T320 powered with a 2600mAh battery. I guess now you understand Xiaomi has made a step forward, and the battery can become the next selling point of the Mi Robot Vacuum. Generally, many cleaner makers come with a slogan ‘sweeps up to 100 square meters’ or something like that. But we know an average room has 20-30 square meters area. So the aforementioned slogan is gimmick. Moreover, many vacuum cleaners suffer of a low endurance due to a poor battery life. The Xiaomi Mi Robot Vacuum seems to meet no limitation and can clean larger rooms. Thus it can be used for industrial purposes. At last, this robotic cleaner can pass even 1 centimeter per second. So any room can be cleaned in minutes. Like other Mi Ecosystem products this cleaner comes with Mi Home app pre-installed. Thus users can control the device remotely: power on/off; check the vacuum’s status via WiFi; get a live tracking; switch between three modes (normal, quiet and active); set schedules for automatic cleaning and many more. All these operations can be displayed on your mobile handset. Thanks to the Mi Home app you can set regular cleaning schedules for daily cleanings. It’s very simple to use, as you are able to display the real-time cleaning map, path and position on your handset. You can also switch between cleaning modes (quiet, standard and active) with simple taps. Once you launch the Mi Home app you will be asked to connect the device to WiFi choosing the connection and entering the password. Thus thanks to this app the connection process is very easy. Once you accessed the cleaner you will see the position of the cleaner, cleaning area, cleaning time info, and a few other useful info such as the speed adjustment. You can even set up the cleaner to report you once the process is over. Probably when describing this cleaner many people will talk about the Laser Distance Sensor (LDS) first. But to understand how this and other 11 sensors work together we have to mention the Xiaomi Mi Robot Vacuum comes with 3 dedicated processors: a quad-core processor from Allwinner, a STMicroelectronics ARM processor, and a Texas Instruments LDS image processor. Thanks to these three processors the cleaner gets data from 12 sensors (LDS, wall, dust bin, collision, ultrasonic radar, cliff, electronic compass, gyroscope/accelerator, drop, speedometer, and fan speed) and calculates the cleaning path. As you guess each of those sensors are located there for a single purpose. For example, the LDS provides a 360 degrees scanning (1800 times/second). Shortly, this is what you will find on a self-driving car. Another example, the wall sensor maintains a precise 1 cm distance from the wall allowing the cleaner not to scratch the wall when working. At the same time side brushes extend to reach between gaps. The names of other sensors say themselves and I guess it’s a waste of time to talk about them. I mean the drop sensor will help the Mi Robot Vacuum not to drop, the collision sensor not to collide with something and so on. Opening the cap we can find the control buttons and the dust box with a capacity of 420ml, which is a bit smaller than we have expected. But as I get it right, the dust box can seal the dust allowing you to use it further. However, it’s highly recommended to be careful with the dust box and not to allow a dust leakage, because it can increase motor pressure, therefore prevent the machine to work properly. While you can be surprised why there is no touchscreen, I have to say those who have owned smart vacuum cleaners with a display earlier know it’s a useless feature. Moreover, we are dealing with a robotic vacuum cleaner that comes with Mi Home app letting users do anything they want via their handsets. I guess you will more surprised seeing only the main brush, the side brush, and the vacuum port on the bottom. But these features are enough to do the task perfectly well. The main brush comes with an adjustable height that is capable of automatically adjust height to create a tight seal with floor. The side brush supports 130 spins/second speed, but it can boosted up to 330 spin/second. Finally, the vacuum port pass the air through itself providing noise reduction effect. You remember the Xiaomi Mi Robot Vacuum is able to sweep up to 250 square meters area, thus it needs to travel between many rooms. The two wheels and the caster placed on the bottom are for this purpose. The Xiaomi Mi Robot Vacuum looks attractive, but we can’t say it differs from other similar machines. 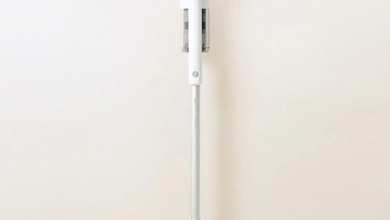 Probably the main advantage of this product is those several features that make it do the cleaning smarter. I mean the algorithm it uses to calculate the path and the sensors allowing to be more careful when closing to the walls. Plus, the Xiaomi Mi Robot Vacuum comes with Mi Home that allows users to do everything via their Android or iOS handsets, thus there are no additional hardware and software features for this purpose. The Xiaomi Mi Robot Vacuum is priced from $250-450, which means it has been designed to fight in the Western market with top brands. Hope it will fulfill the mission. Xiaomi Redmi Note 4 Vs Xiaomi Redmi Pro Comparsion - When Two Redmi Clashes! How is its cleaning performance? Now ,Robot Vacuum is 360$ with this code: XIAOMIVAC, available on gearbest: https://goo.gl/fHqWRO. Can you recomand me this product, how are real performances? This video is just a POC, the MI Vac app plugin was translated 99%, as some messages are still hardcoded. Mi Smart Home is a suite of apps that control all the smart devices of Xiaomi. The devices can be seen in a list inside the app and in order to control them, a plugin is downloaded from a chinese server. This means that the plugin is in chinese. Of course this can be changed, as you can change the downloaded plugin in chinese, with mine which is in English/Chinese. App uses system language, so you need to set your phone to english language so it works properly. The plugin must be placed in Data/Data/com.xiaomi.smarthome/files/plugin/install/mpk/number, with a file manager that has root access. As a file manager, better use es file explorer from playstore. If you use supersu, you must grant it with root access, in order to replace the plugins correctly. Files must be renamed to have the same name as the installed one. To edit the text strings, Apk Editor + Google translate were used. You kind of breezed over the part about the app being in Chinese. Is it usable if you don’t speak Chinese and are using iOS (no android translation app)?